ARLINGTON, VA, March 14, 2013 – PBS LearningMedia, a free digital media content portal for classrooms, today announces the formation of its PBS LearningMedia Teacher Core, a select group of 28 teachers chosen for their dedication to the advancement of digital learning in education. The PBS LearningMedia Teacher Core will utilize the experience, expertise and passion of its members to reignite classroom learning and engage fellow educators using digital tools in classrooms nationwide. 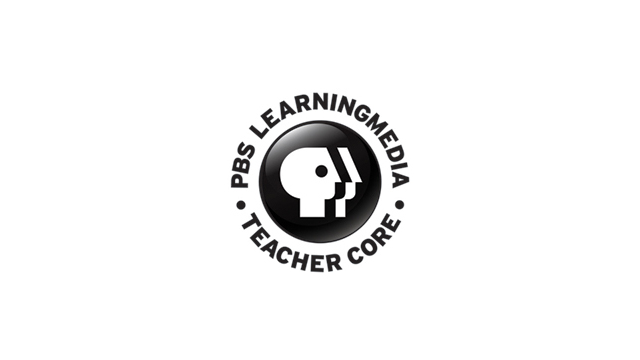 The PBS LearningMedia Teacher Core is comprised of K-12 educators and library media specialists from across the country. In partnership with their local PBS member station, they will work to champion digital learning in their communities. Additionally, the PBS LearningMedia Teacher Core members will participate in a two-day Digital Education Summit at PBS where they will be equipped with tools and training that enhances student learning. About PBS LearningMedia As America’s largest classroom, teachers of children from pre-K through 12th grade turn to PBS for digital content and services that help bring classroom lessons to life. PBS LearningMedia, a partnership of PBS and WGBH Educational Foundation, is a free media-on-demand service available to educators nationwide. It brings together the best of public media and delivers research-based, classroom-ready rich media experiences that engage students in exploring curriculum concepts that align with National and Common Core State Standards. Drawing from critically acclaimed PBS programs such as NOVA, FRONTLINE, AMERICAN EXPERIENCE and PBS KIDS programs like SID THE SCIENCE KID, as well as content from organizations including The National Archives Smithsonian, NPR, and NASA, the free service offers teachers access to more than 20,000 videos, images and articles to enrich classroom instruction. Nationwide, more than 850,000 teachers have registered access to PBS LearningMedia. More information about PBS LearningMedia is available at www.pbslearningmedia.org, or by following PBS LearningMedia on Twitter and Facebook.